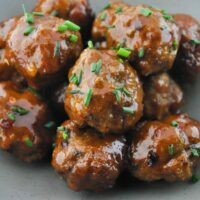 Meatballs are one of those things that make an awesome base. You can throw some barbecue or marinara on them or eat them plain. I personally recommend this Maple Brown Sugar BBQ Sauce I made in the last post. ? They are also perfect for an appetizer or as a part of an entree. It’s such an easy dish to whip up for a pot luck or as hors d’oeuvres for a dinner party. They’ve got this awesome Italian flavor from the herbs and the breadcrumbs. 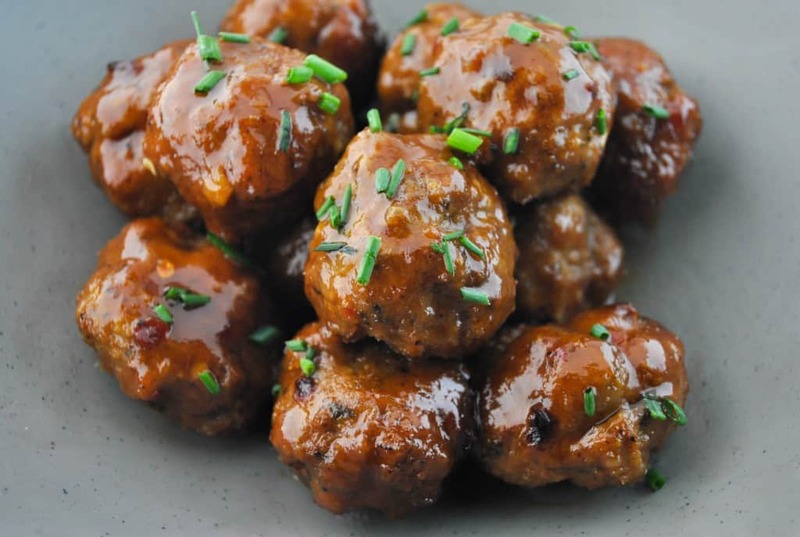 Cut back to 1/2 cup on the breadcrumbs if you’re looking for meatballs that are more neutral in terms of flavor. 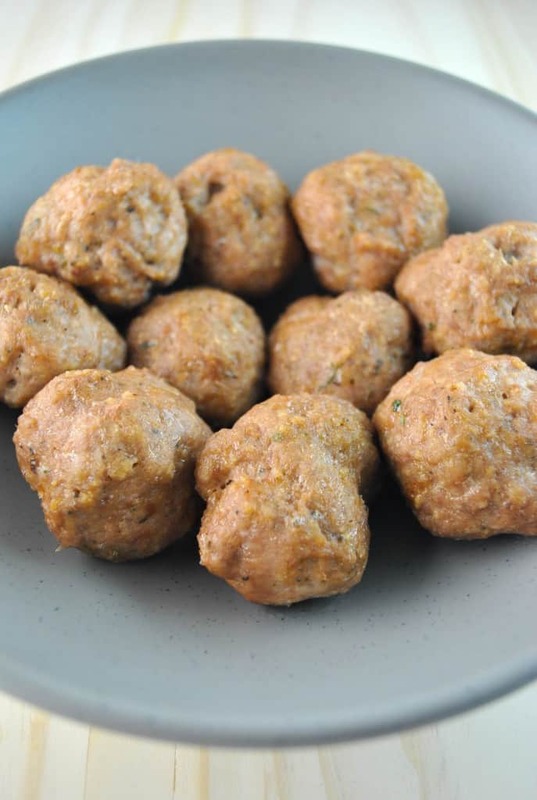 Light baked turkey meatballs perfect for an appetizer or to use as a part of an entree. Combine ingredients in a medium bowl until thoroughly mixed. Use a spoon or ice cream scoop to evenly measure out meatball sizes. Roll into a ball and place on wire rack. You'll most likely need to bake in two batches. Place extras on a plate until ready to cook.